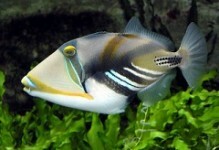 The Clown Triggerfish has a dramatic coloration, making this species a most sought after addition to the home aquarium. 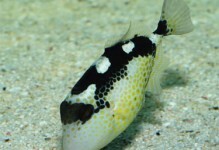 The Clown Triggerfish is found along the inner and outer portions of a reef in the wild, wherever shellfish and other invertebrates are found. 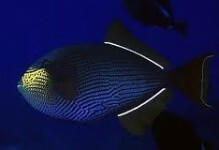 Among the most colorful, the Clown Triggerfish is also one of the most aggressive commonly kept inhabitants of an aquarium. 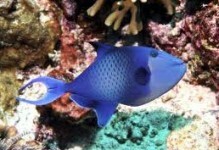 Care should be taken in selecting its tank mates, choosing other aggressive, large fish. 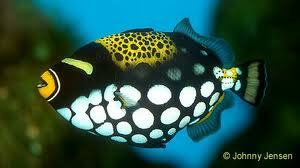 The tank decor should also be chosen based on the propensity of the Clown Triggerfish to rearrange it. 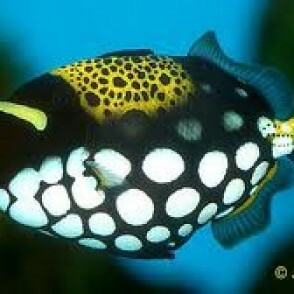 The Clown Triggerfish needs a varied diet of meaty foods including; squid, krill, clams, small fish and hard shelled shrimp to help wear down their ever growing teeth.